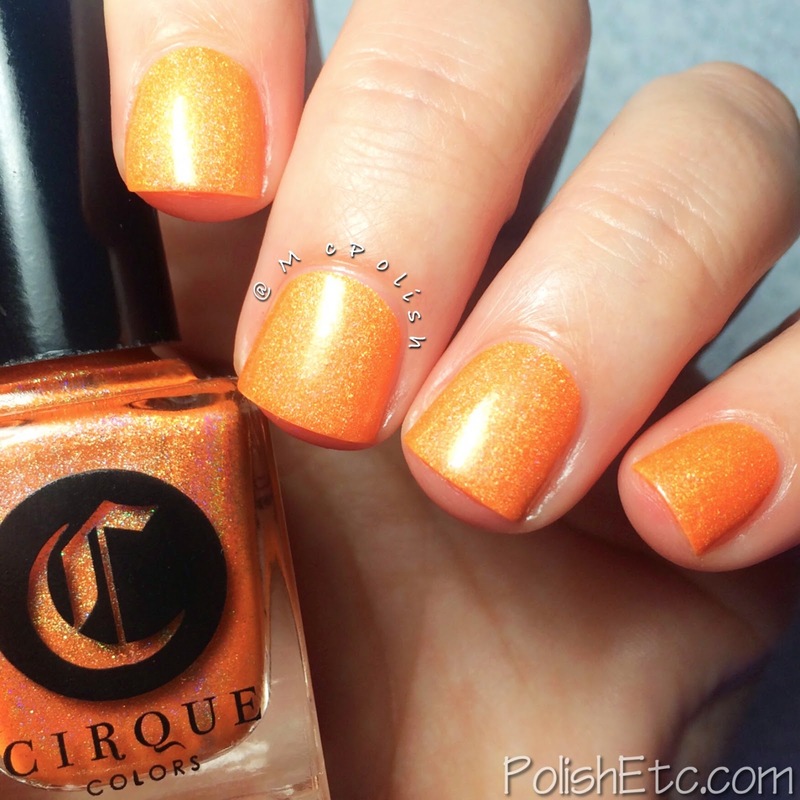 Cirque Colors - Magic Hour holos - Polish Etc. It's warming up out there and starting to feel a lot more like summer! I will miss spring but I am excited for summer colors. And what so we wear in the summer on our nails?? Neons! And what type of polish is the most fun to wear in the sunshine? Holographics! So, put those two together and you have a winning combo. 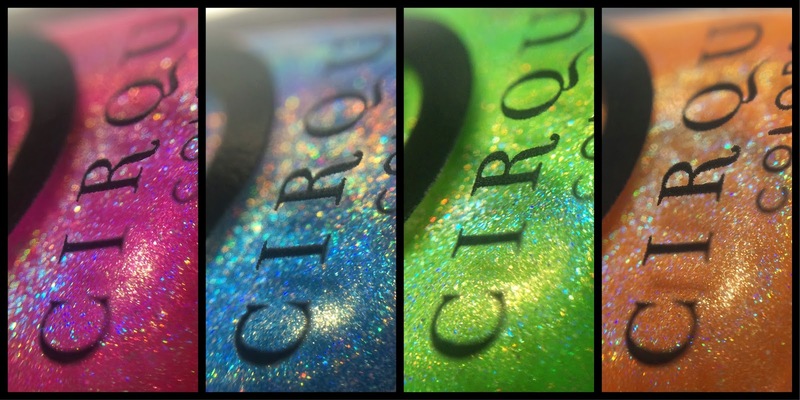 Today, I have four limited edition holographic polishes from Cirque Colors to share with you from the Magic Hour collection. This collection is exclusive to Nordstrom's Magic Hour pop-in shops curated by Olivia Kim. These small shops are only in a select number of Nordstrom stores. But you can purchase any of the limited edition products online like I did. I snagged the four holographic polishes in this collection the moment they were available online and I can't wait to share them with you! Click through for all the holo goodness! First up, let's take a look at "PLUR". PLUR is the dance culture's moto; Peace, Love Unity and Respect. 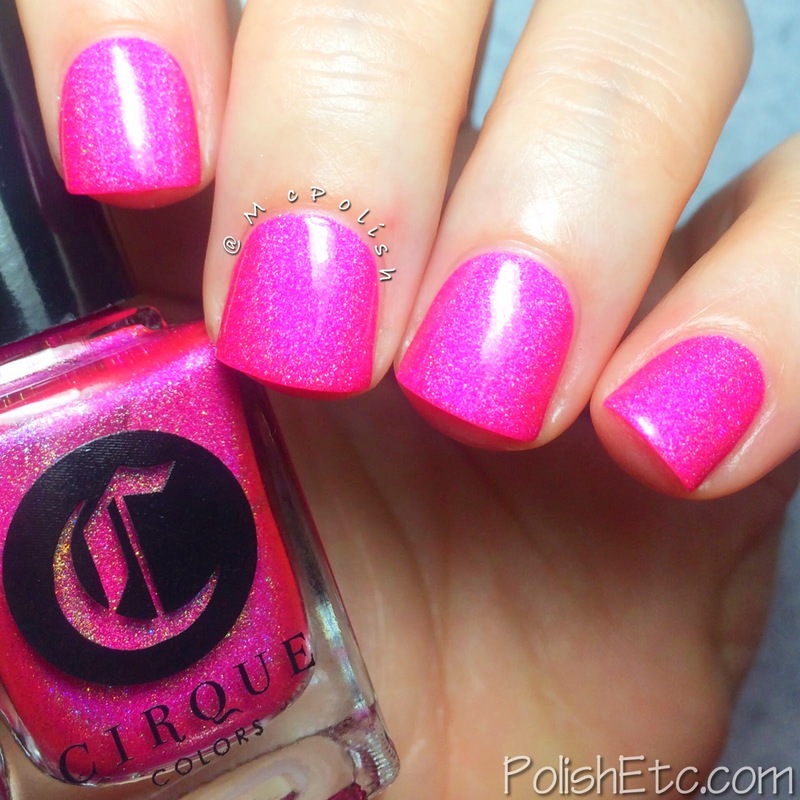 This lovely neon pink holographic polish is the perfect color to emote those warm fuzzy feelings of PLUR. I used two coats for this swatch with a top coat but I honestly could have gotten away with one. The formula is super creamy and the polish glided on the nail. Very bright and very fun! 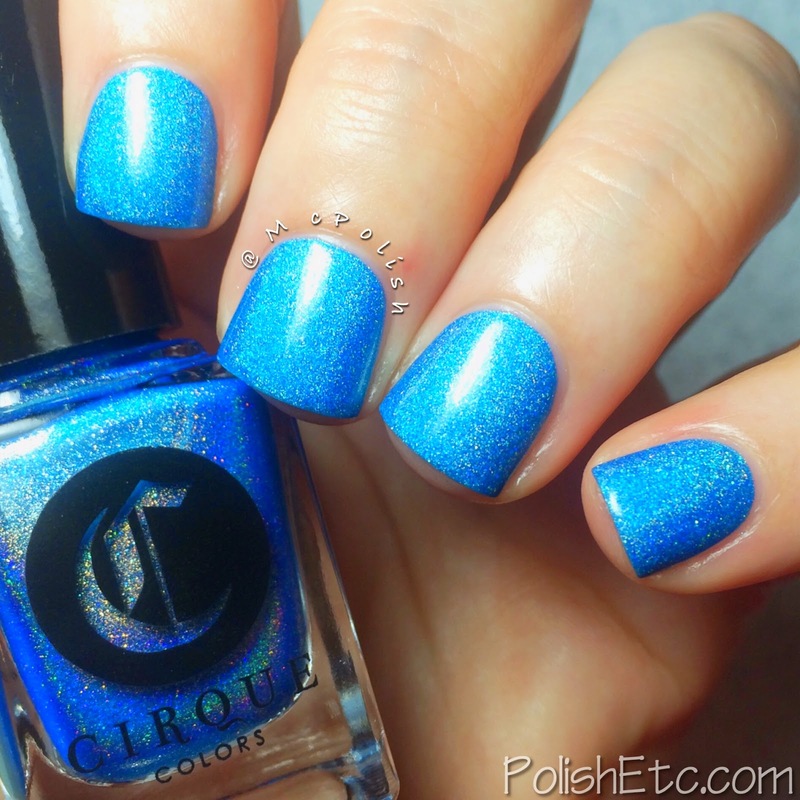 Next, we have "Twilight" which is a bright cerulean blue holographic. The holographic particles in these polishes are a mix of scatter and linear. They are subtle but definitely present. This neon blue had the same lovely formula. I did two coats with a top coat for this swatch but could have gotten away with one thick coat. It is such a pretty blue! The next bright neon in this quad is "Flash". 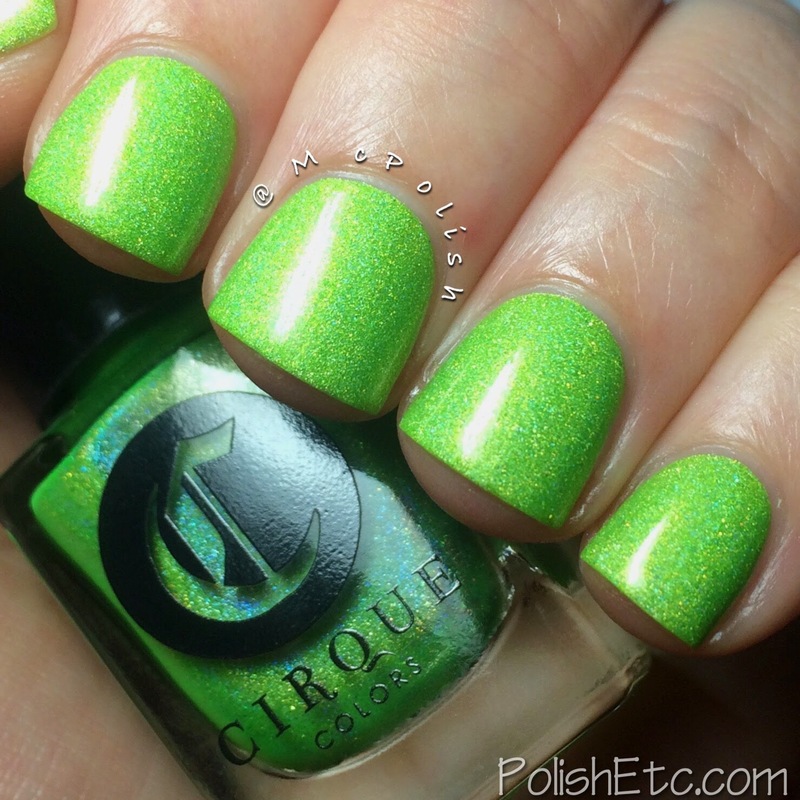 "Flash" is a neon chartreuse green with the same mix of scatter and linear holographic shimmer. I did use two coats with a top coat for this swatch and again, I probably could have gotten away with one thick coat. Super bright and super neon! 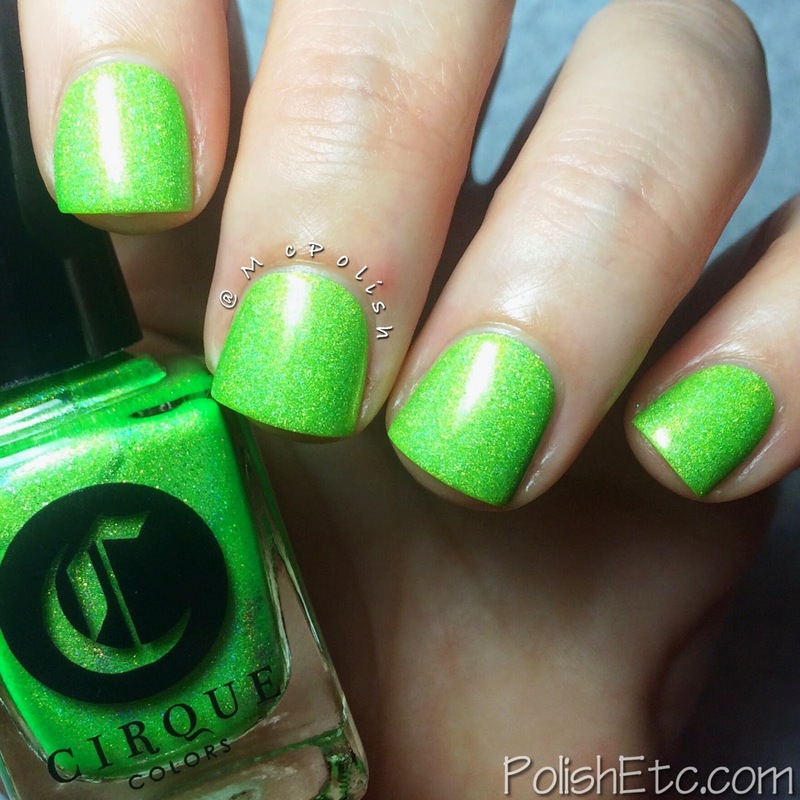 If you are a green polish lover, you will need this in your collection. And lastly, my favorite of the group. 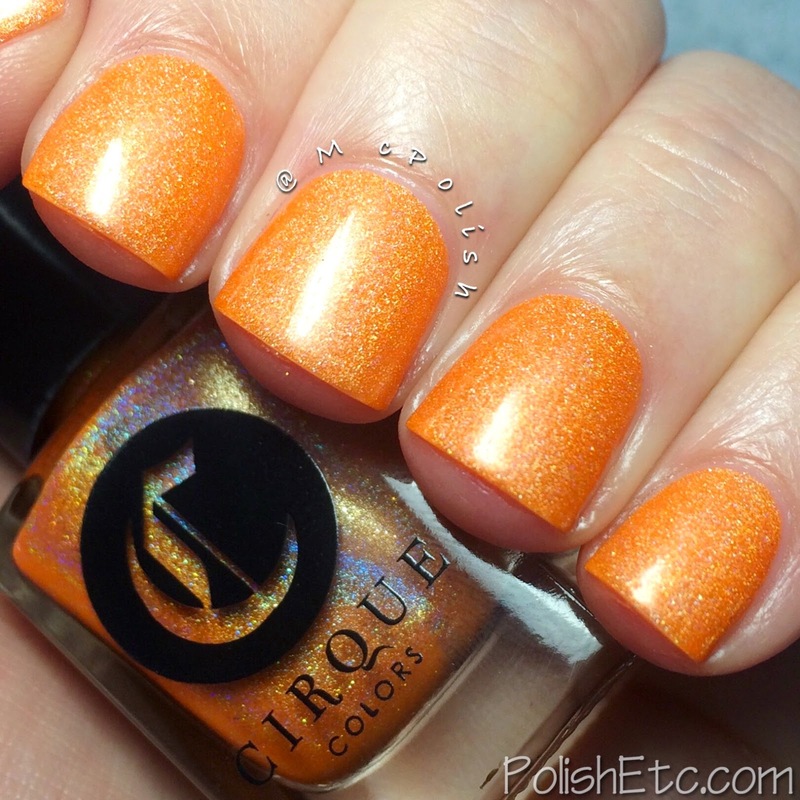 "Sun Dog" is a bright tangerine orange polish with a lovely subtle holographic shimmer. The holo is both scattered and linear. I only used one coat for this swatch and wore it as a whole manicure for the day. I am a sucker for orange polish and I just loved the way this looked with my skin tone. A must have! I had to do a little nail art with these lovely holgraphic polishes. 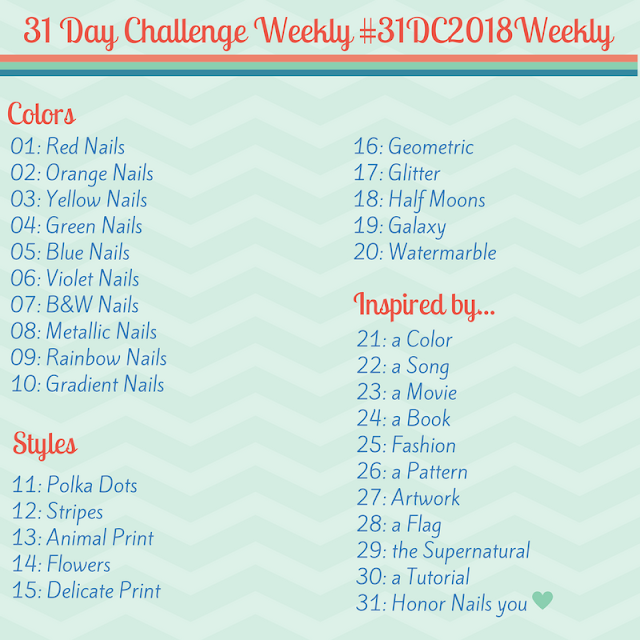 So, I created a skittle mani with each of the four colors. Then on my accent nail I used all four colors for revered stamping with my Pueen SE 04B plate. I love the way those bright colors pop against the white background. Are you in love with these neon holographics?!?! Well, if you want them for your own, you need to head over to Nordstrom. I heard they were only being sold though the end of April. These babies are limited edition, so get them while you can. You can also check out the other glitter toppers available in this collection as well.